Here is a wonderful zebra print with a fun, modern twist. The top of this design features a black and white traditional zebra print. 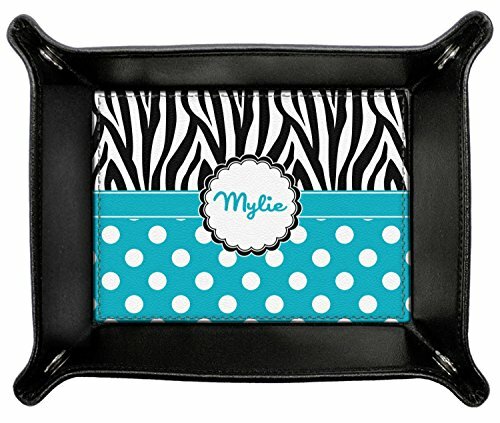 To add color and flair you can pair the zebra pattern with your choice of color and white polka dot pattern on the bottom. A white scalloped circle label edged in black highlights the personalization of your choice. A wide matching color band trimmed in white completes the design.